Maybe last night was a fun one for us, two too many Pear and St. Germain Martinis. They just looked so lovely with the little gold flakes on top! So hard to resist! Today, we suffer. Oh, how we suffer. We need a cure, with the quickness. Forbes tells us to drink water, Gatorade, take B6 & B12, and to eat tripe soup. Forbes, we believe you, except for that last one. 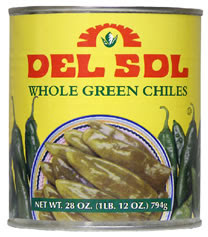 But we know the real cure: Green Chile - on pretty much anything. In a 6 quart pot, brown the pork in the bacon fat. Add the remaining ingredients (using only half of the frozen or canned green chilies *) to the pot and simmer for 2 hours. You may need to add some water during the cooking time to keep the mixture covered.With 30-40 minutes of cooking time left add the remaining green chilies *10 minutes before the end of the cooking period adjust the thickness, salt and heat.